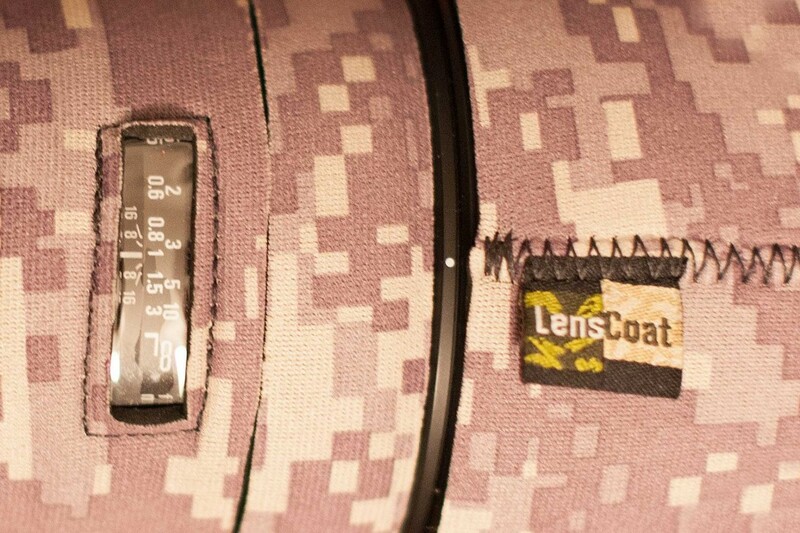 It’s been a long time since I’ve noticed on B&H website something called “LensCoat”. At first, it caught my eye and since then I always wanted to have one. 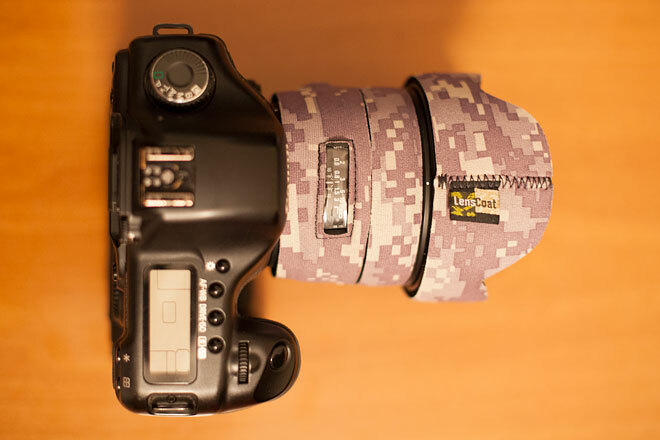 About two weeks ago, my friend was buying some things on B&H, so I “attached to the host” 🙂 and ordered a LensCoat with “Camo” texture for my Sigma 50mm f1.4. It costs impressive 54 US dollars (approx. 40€) without shipping. And here it came. 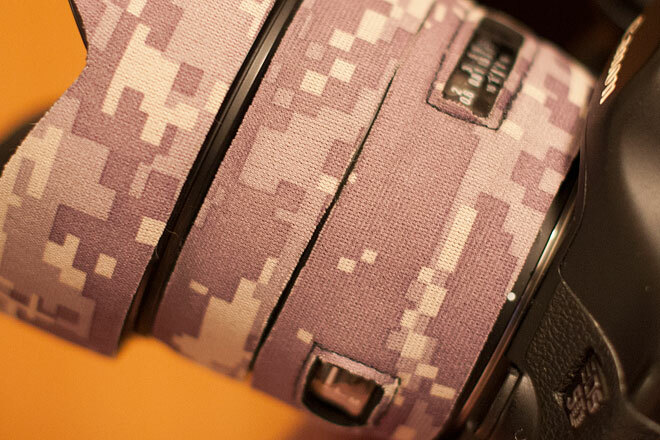 My largest disappointment in photography equipment. I noticed that it was expensive before I ordered, but I really see no sense or logic how can this piece of badly made fabric cost 54 dollars. I expected to get something really, really better. The only good thing about this is that it somehow looks good. Somehow. I’t so badly made, that it looks like it’s been cut with scissors by 3 year old children. 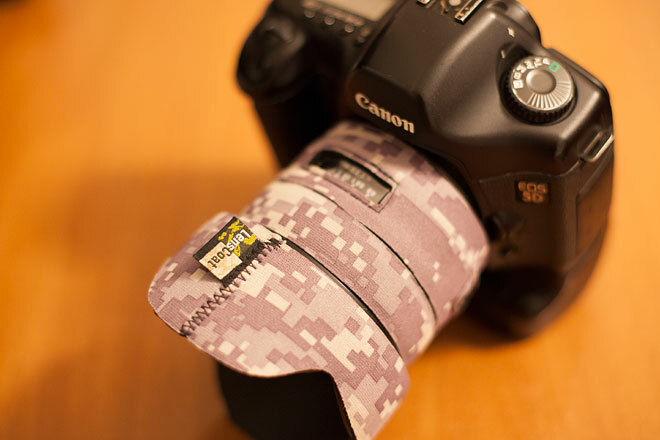 It’s made of neoprene (what is a fancy “hi-tech” name for a piece of textile glued to a piece of rubber) and it does not cost more that $1 to make. Literally. 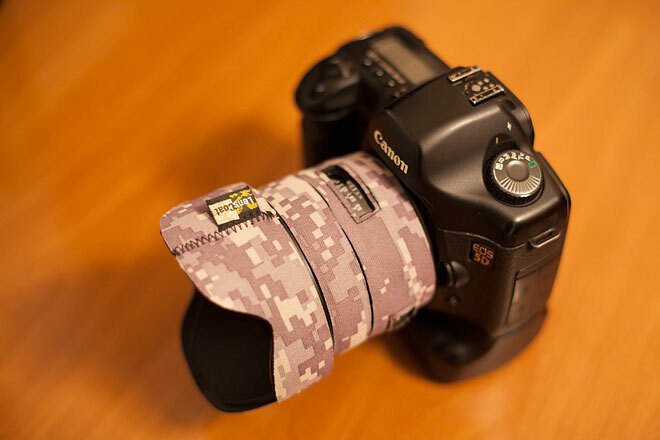 However, neoprene itself, despite being cheap, is a very good material. The packaging is like you bought a scary Chinese plastic doll, with an instructions manual which is a piece of paper from a copy machine (angain: Literally. A copy machine.) You can’t manually focus properly, because the unevenly cut fabric is rubbing one on another so it blocks you when rotating the ring. You can see on the pictures that there are windows over distance scale and AF/MF switch. The strings around them look like they were tailored by apes, and the cover of the lens hood doesn’t even fit properly, there is always an edge uncovered. But wait, there is one major and most important thing (not). 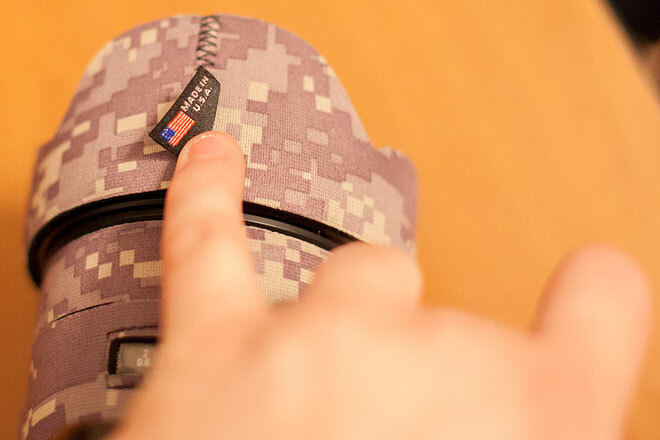 It says “Made in USA” on the tag. I guess that explains the price. Trust me, if you ever buy this, you will wish it was made in good old China. Thanks for the review. 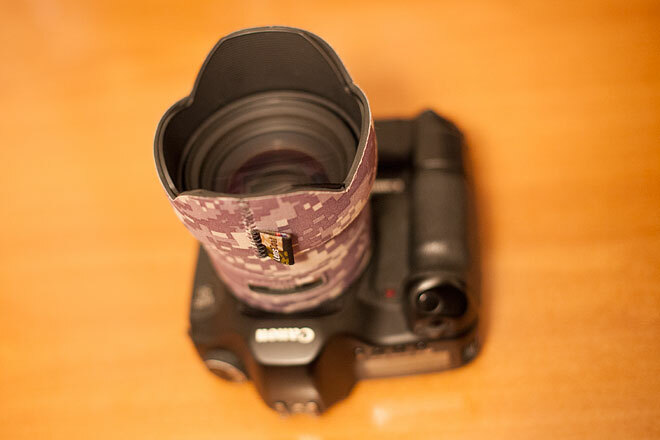 My buddy got his lens hood custom painted by a motorcycle airbrusher – looks really cool.